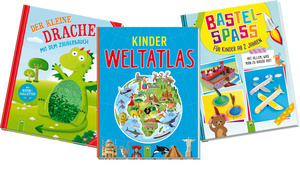 Schwager & Steinlein offer a wide range of colourful children’s books for girls and boys from infancy to primary school age. They include board books for little hands, puzzle and picture books, exciting stories for reading aloud, colouring and sticker books, educational books for nursery, starting-to-read books and non-fiction books. All are of the highest quality and attractively designed, meeting children’s needs for both knowledge and entertainment – perfect childhood companions, whatever the stage of a child’s development. Supported by major international licence partners and more than 50 strong brands, our books prepare boys and girls for the future. 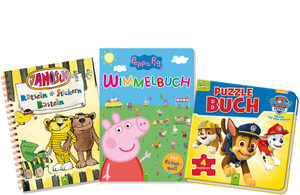 The characters featured in our children’s books range from Peppa Pig to Hansel and Gretel to Paw Patrol. 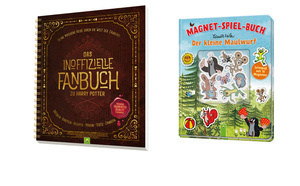 Our programme combines the tradition of one of the oldest children’s book publishers (founded in 1909 in Franconia) with the multimedia world of the 21st century: many of our titles are also available as e-books. These can be read today as they used to be read – under the covers, on the back seat of the car, in the children’s bedroom, alone, in pairs, with mum, dad, grandmother, grandfather… wherever and whenever you want. 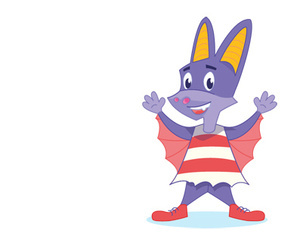 The books use words and pictures based on the latest educational research and contemporary speech, and are created by a highly professional publishing team working in collaboration with authors and illustrators. We want to provide children with access to knowledge, stimulation and education, and we are breaking new ground in doing so. In autumn 2017 we launched HappyDadoo.com. This portal offers an array of ideas for games, craft instructions and activity materials for children aged six months to ten years. The content can be downloaded for free. Our books are fun and they arouse curiosity. They are committed to the values of responsibility, community, mutual appreciation and respect. Through our books we are determined to bring children into contact with education and entertainment at as early a stage as possible and thus promote life-long learning, equal opportunities and cultural participation. Our books are available in over 38 countries worldwide, in bookshops as well as discount stores. Through large quantities and weekly promotions, supported by the sales concept of international trading groups, we are able to offer top-quality products at fair prices.